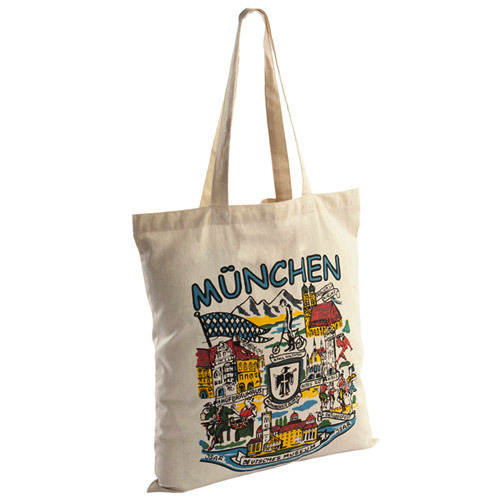 We are prominent manufacturing, supplying and exporting Printed Cotton Bag with Long Handle. Their design comprises of attractive prints on an off-white background. The long handles provide easy grip for the customers. Premium quality cotton has been utilized in the manufacture of these bags. We make these bags available in a standard size. Since these bags provide a large amount of storage space, these are highly demanded by the customers. Customers can avail these bags at reasonable prices.